In this article, I will go through some of the most difficult characters. This difficulty is not based on my opinion, it’s based on statistics fetched from our database. We know which characters Skritter users get wrong most often. First, it should be mentioned that the simplified character is mapped to two traditional characters: 御 and 禦, the first meaning “imperial” (among other things) and the second meaning “to defend”. The mapping is not 100% clean, though, because the meanings overlap in traditional Chinese in some cases. The character is a combined ideogram, showing a person riding in a horse-drawn chariot. This is not really helpful for remembering the modern form, though. 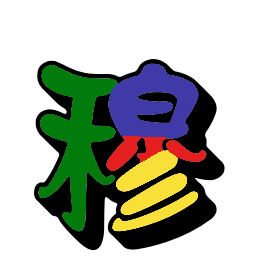 The character can be broken down into 彳 “step” and 卸 “to unload”. This character is probably difficult (I find it difficult to remember myself) because it’s combined of components that aren’t really used on their own much. If you know 卸 it’s of course easy to remember this character too, but if you don’t, you’re stuck with a bunch of strokes that don’t mean much to you. Things that don’t mean anything are the hardest to learn! The best solution is to make sure you learn 卸 first, because it’s a useful character in itself. Here’s a hint: it consists of “pestle” 午, “stop” 止 and “kneel” 卩. The right part is more obviously related to the meaning. 皮 means “skin”, which is one of the first things we might think about when we hear the word “wrinkle” in English too. To be honest, I’m not sure why this character is difficult, at least not for simplified Chinese. I kept mixing up this character with 縐 for a long time, but most students don’t really need that because 縐 is much, much rarer (beyond 4000), so by the time you get there, you should already know 皱. Help me out! Why is 皱 hard to learn? Not that bad? If you want to learn this character, you probably know all the component except perhaps the last one. You only need to combine them. I used a fairly simple image to learn this character years ago and it has stuck for some reason. I picture a solemn rite or ceremony where three small stalks of grain are carved into an altar and coloured white by chalk, forming 彡.